BGO Casino is a brand that has managed to attract a great deal of attention since its launch towards the end of 2012, thanks to massive publicity drives using iconic and famous personalities including Paris Hilton and Verne “The Boss” most famous for his role in the Austen Powers movies. The brand was originally an online bingo provider and decided to expand their horizons by launching a comprehensive, cutting edge online casino. BGO, which is pronounced as ‘bee-go’ to the uninitiated, uses multiple software providers to create a unique and very comprehensive casino gaming library, along with innovative bonus offers and promotions, making it one of the most popular on our list of recommended online casinos for players from New Zealand. BGO Casino cleverly divides their casino floor up into different sections to make navigating the casino fast and intuitive. Kiwis that love playing the best and latest pokies will be most interested in the BGO Vegas section. 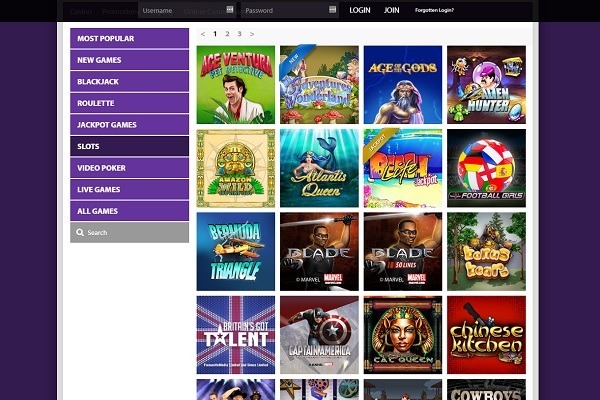 This is where you will find hundreds of slots including 3 reel classic pokies, 3D 5 reel video pokies and progressive jackpot pokies, all provided by a diverse cross section of the best casino software providers in the business. All the top brands are well-represented here including Microgaming, Playtech, NetEnt, WagerWorks and new innovative brands like Microgaming’s Quickfire. The games are all well-organised and you can even get a preview of the game along with important information such as each games RTP (Return to Player) stats. Most offer over 96% RTP and there are enough volatility ranges to suit all preferences from high to low. All the top games are represented including NetEnt’s Starburst and Microgaming’s top progressives like Mega Moolah. The remaining sections of the casino are dedicated to the BGO Casino tab which includes all the classic casino games that Kiwis love just as much as pokies. This includes multiple varieties and variations on classics including Roulette, Blackjack, Baccarat and Poker including Texas Hold’em and Caribbean Poker and a range of Video Poker titles. The last section is BGO Macau and this is where you will find the brands live dealer casino. The live casino offers state of the art live real time streaming and offers Roulette, Blackjack and other casino games with live dealers and interactive action. The BGO Casino Welcome Bonus offers a solid jump start with the casino and is ideal for new sign ups as the first deposit bonus supplies you what the casino is calling Fair Spins. Fair spins are keep-what-you-win free spins that have both no wagering requirements and are limitless in how much you can win. All you need to do is deposit a minimum of 10 NZD to get started and they will match 1 Fair Spin for every dollar deposited up to 50 NZD. The only strings attached to these free spins is the minimum withdrawal is $20 and they can only be used on these great NetEnt pokies: Starburst, Hansel & Gretel, Shangri-La Cluster Pays and Aloha Cluster Pays. Bonus quality – Our thoughts: The BGO Casino Sign Up Bonus is actually quite small but it does have a unique appeal. If you are not depositing much money to get started, and most of us aren’t, then the no wager and no limit parts of their bonus is excellent. While the official BGO mobile pokies is aimed more at iOS and Android users, since these are the two biggest mobile operating systems in the world, the casinos mobile platform can be accessed by other operating systems as well. Smartphones and table devices equipped with the latest version of HTML5 should have no problem accessing the mobile casino via their mobile browser and can enjoy many of the same top rated pokies that are available on the Flash version of the casino. Pokies are also available for real money or in ‘fun’ mode which is handy for checking out new games before spending money on them. The same sign up bonus package is also available on mobile as are the banking methods and personal account menus. The BGO loyalty rewards program is known by its rather unique title of “bVIP” and the brand claim that it is the most unique casino loyalty rewards program in the industry. The structure however is quite similar to other online casinos in that there are different levels that start with a blue level and go through to the platinum level at the very top. Benefits also increase per level and these can include sweeter and bigger bonus offers, exclusive invitations to VIP events, increased playing limits and an invitation to their gold VIP bingo. There are also cash back rewards for those loyal players who play the most games and all of these benefits are also available on their mobile casino platform. Banking options at BGO Casino are not quite as extensive as some of our other recommended casinos although there are certainly more than enough to satisfy most needs. Unfortunately this casino does have a bit of a reputation for slow withdrawal times so Kiwis looking for lightning fast withdrawals may be a bit disappointed. That being said transactions are generally a smooth affair and the site is verified safe and secure with the latest SSL encryption technology to keep your details safe and sound. Main methods offered by BGO Casino include: Visa, Visa Electron, MasterCard, Maestro, Neteller, PayPal, Skrill, PaySafeCard, iDebit and Bank Wire Transfer. BGO Casino offers an exciting and vibrant online casino destination that scream world class in every way. The casino user interface is smooth and easy to navigate with a very chic and cool look and feel. The use of multiple software providers allows the brand to offer one of the most competitive gaming platforms on our list and the added incentive “Fair Spins” really caps it all off rather nicely. The casino’s loyalty program is excellent and the innovations of the BGO Store and The Boss’s Promotions are an awesome touch to a winning brand.